Car Parts Burnaby | Plating Services | Dependable Plating Ltd.
Get an Electrometal Plating Job Today! Dependable Plating Ltd. gets the job done right. Dependable Plating performs electrometal plating on motorcycle parts, boat parts, and car parts for Burnaby and Metro Vancouver. You name it, we do it, including kitchen, bathroom, and door hardware for your car! We understand what our customers want: consistent quality, courteous service, and not having to wait forever to get their treasures back. 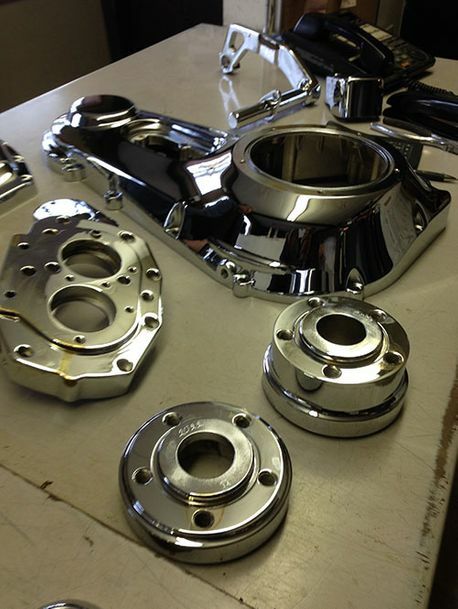 Whether you need new parts for your boat or for your motorcycle, Dependable Plating Ltd. is here to help! Our team can help you make the right selection on which part and which metal to use for your plating job. All our work is guaranteed for 1 year. There are many reasons to choose Dependable Plating Ltd, beginning with our honesty, integrity, and commitment to customer satisfaction. Come in to see us at Dependable Plating Ltd. today to get started on choosing the rights parts and electrometal plating job for your project! We’re looking forward to getting you back on the road and the water!